Of Anglo-Italian heritage, E S Moxon’s life has always involved languages and travel. Growing up she spent many family holidays visiting ancient burial sites and stone circles, exploring Britain’s multi-cultural past. Her Italian grandfather’s tales of the roguish adventures of his youth fuelled Elaine’s passion for writing from a young age. A former holistic therapist and current member of the Historical Novel Society, she lives in the Midlands with her family. 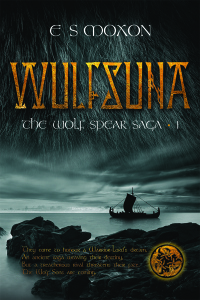 AD433 Torn apart when Rome abandoned Bryton, the Wulfsuna are a disparate tribe. Twenty years on, two long ships sail for the east fens to honour their Warrior-Lord’s dream and reunite with lost kin. Soon after landing however, a murderous betrayal divides loyalties, some craving revenge and others indignant on pursuing their Lord’s dream. Blood and brotherhood are tested to their deadly limits. The discovery of a young Seer adds to the turmoil. Expelled from her village after foretelling of an attack by blue painted savages, the Wulfsuna are equally wary of the one they call ‘Nix’. None fear her more than Lord Wulfgar, who refuses to believe an ancient saga bearing his name, is weaving the Seer’s destiny into his own. But a treacherous rival threatens their fate and Wulfgar must accept the Seer’s magic may be all that can save them. A debut book is always a privilege to review, its also a tough responsibility. You can do untold damage if enough people read your blog, as well as give plenty of benefit with a good review. Ultimately my view is that you need to walk a fine line. bridge the gap. Give and honest review, but also factor in the fact the writer is beginning a career. I’m not arrogant enough to yet know what impact my review has, but i’m honest enough to know it has an impact…. So … what does that mean for Wulfsuna? well happily for me Elaine can write, she has clearly spent many long hard hours, days and nights pouring her passion for a subject into a novel. She has chosen a period in time that is very underwritten, and seems to be gaining popularity at the moment, that period when Rome has pulled out of Britain and the populace has been left to fend for its-self against the ever migrating hordes from the the mainland. The story follows the Sons of the Wolf as they look to meet up with past members of their group, people who have settled the land, farmed it. The plot follows the leader of this band and a young woman, a seer. Both suffer personal tragedy, She expelled from her village, forced to fend for herself, He the loss of family to betrayal. Fate has their lives interwoven, and she will have her fickle way. The authors love for her characters and her time period clearly shine through on every page, i did feel that the book was perhaps over polished, when you have too much time to finish a book, its easy to go back and tweak a phrase, add a description, and i think Elaine has perhaps suffered that first book wobble where she had that extra time. To her credit she finished a book, and made it a decent plot, one which really pulls the reader with it. I think knowing her as i do (for quite some time online) she will be taking on board all her feedback to make book 2 really hit home. Also she has set herself a much shorter window to write the book, thus removing the habit of polishing. The book i would rate as a 3/5, it has lots of charm and plenty of action and great characters, but more than anything it has potential, so i will be back for book 2. I hope you will also give this a go and join the journey, because if we don’t support new authors…. we lose anything new and different. Dr John Henry Clay is a Lecturer in History at the University of Durham, from where he has built up an international academic and research reputation in Anglo-Saxon and Frankish history and archaeology, particularly concerning themes of conversion and religious identity, landscape perception and the transition from the late-Roman to the early-medieval period both in Britain and on the Continent. He completed his PhD at the University of York in 2008 and spent time as a visiting researcher at the Institute for Medieval Research of the Austrian Academy of Sciences in Vienna, before taking up his post in Durham in 2010. THE LION AND THE LAMB is his first novel. Condemned to a hovel, beaten by a merciless commander, crushed by the weather and forced to survive on starvation rations: no one looking at Paul would ever guess that he is heir to one of Roman Britain’s wealthiest families. But Paul had his reasons for joining the army and fleeing the family he loves. But when rumours of a barbarian uprising from beyond the Wall begin to circulate, Paul realises that his family is in grave danger. With only the former slave-girl Eachna for company, Paul deserts the army, for which the penalty is death, and undertakes a hazardous journey across Britain where danger lurks round every corner. 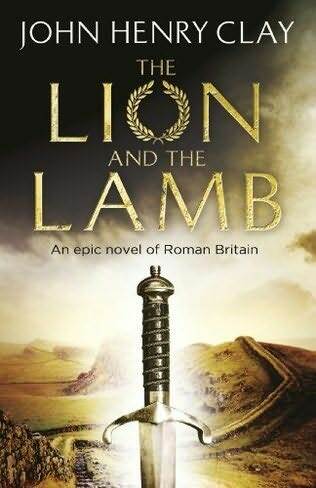 Epic in scope, rich with historical detail, THE LION AND THE LAMB is a novel of Roman Britain on the cusp of the Dark Ages, when all that stands between her citizens and oblivion is one family. On the surface this book has a nice looking cover, intriguing title and interesting blurb. The book is well written and i’m not even going to pretend to know if the history is right or wrong. Given that John Henry Clay is a highly respected Lecturer in History at the University of Durham particularly on this period, I feel he might be streets ahead of me there. I know by now you are all sat waiting for the BUT! The book has its own style, a good thing for some and not for others, and to be honest I’m not sure where i fall even now. I’m struggling to articulate all of my perceptions of the book. So I came up with a comparison for you. If Anthony Riches is Die Hard then John Henry Clay is EastEnders. The story is more family intimate, and so tragic, its like several Christmas episodes rolled into one. I’m not an EastEnders fan, but at the same time I was compelled to finish this book. Every night i read the book until gone midnight, I finished it and at no time got bored, felt bogged down by the style or the language. The author writes in a clear sparse engaging style, if he could provide the battles and the anticipation, and couple that with a bit more life to his characters then i think he would have an all around winner. It was the lack of anything but normality and everyday personality or lack at times lack of depth to the characters that hindered my all around enjoyment. Up until the last 80 pages I wasn’t bothered if Paul died, but still at the same time felt compelled to watch the whole plot unravel towards its conclusion. It’s at the conclusion that it delivers, where it seems that a progressive build up culminates in life for all the characters especially Paul, Paul’s father and Rufus, who feel more real at the end. Yes oddly i would, its a book I think you should read and make up your own mind, I think there is a lot of potential for the future, as débuts go the man can write, it just for me needs more action , more personality, inject some humour, even if its dark to back up the emotion and atmospherics he is clearly capable of writing.